If you missed any news during the week, then you're in luck. We've gathered the top poker news stories of the week for you. A lucky group of players can now play Rush Poker on mobile phones thanks to the beta launch of the software. On top of that, PokerStars has announced a new COOP. Check out these two stories and more in the Weekly Turbo. Not all of us can be Full Tilt Poker Black Card members, meaning that not all of us will be able to take part in the beta launch of Rush Poker Mobile. But we can live vicariously through those lucky enough to be sitting on the subway playing Rush Poker, or sitting at the poker table while waiting for a turn (cause we all know how slow live games can be), and wherever else they decide to play - that is until it's made public. This isn't for the iPhone, though, it's only available on mobile devices running Android 2.2, but we figure if you're a Black Card member, you probably have enough spare change laying around to purchase an Android phone. Read the thread about Rush Poker Mobile on TwoPlusTwo. Perusing the NVG forum on TwoPlusTwo this morning, we ran across the thread "Scott Montgomery gets robbed at Bellagio." So, naturally, we clicked on it. Sure enough, the first post in the thread linked to Scott Montgomery's Twitter account, and in three tweets, Montgomery briefly (because there's a 140 character limit) explained what happened. According to the tweets, Montgomery was robbed in one of the bathrooms at the Bellagio. "Got mugged today at Bellagio. Black guy pulled a knife on me in the restroom. I gave him the $2k in my wallet and he left." He went on to say that Bellagio security didn't do much to help catch the guy. Let's just say it could have been worse, and for those of you walking around with a bunch of cash in your wallets, be aware of your surroundings. The TwoPlusTwo thread is now closed (because it got out of hand like most threads do on TwoPlusTwo) but you can still read it. On Tuesday, a few of us here at PokerNews HQ opened our email and received messages from PokerStars regarding the USA Championship of Online Poker. Then we got to thinking, "There's no way this is just for the U.S., and not the rest of the world." And what do you know, we were right. PokerStars has just announced the Regional Championships of Online Poker. PokerStars has divided the world into 13 sections: Russia, Nordic, Baltics, USA, Canada, Germanics, Asia Pacific, Mediterranean, U.K. & Ireland, Central and Eastern European, Latin American, Iberian, and Benelux. There are 13 different series, each with 11 events, all with guaranteed prize pools and culminating in a Main Event. Players will only be competing against other players in their regions, and players will be able to chat in their own language at the tables. "It's about national pride, winning big and proving that you are the best player in your region." Want to learn more? Check out PokerStars' RCOOP page. We have just announced three $15,000 Sunday Million Freerolls & three $2,000 PCA Freerolls with PokerStars. You can win a ticket to a tournament with a life changing prize pool for free, but only with Club PokerNews! Back in August we told you about a chance meeting between boxer Audley Harrison and Matchroom Sport director Eddie Hearn at the 2009 World Series of Poker. That led to discussions about setting up a Heavyweight title fight against British World Champion David Haye. That fight will take place on November 13 in Manchester. It was just announced that Harrison has signed a sponsorship deal with Full Tilt Poker and will now be seeing his name in red on the online poker site, as well as being FTP-branded during his big fight. "Obviously Full Tilt are one of the biggest names out there and I do play on Full Tilt. For them to come knocking and offer me a deal obviously I’m gonna jump at it. It’s a great deal for me now and when I win the title it’s gonna be an even better deal," Harrison told UK.PokerNews.com's Barry Carter. To read the entire interview, head on over to UK.PokerNews.com. 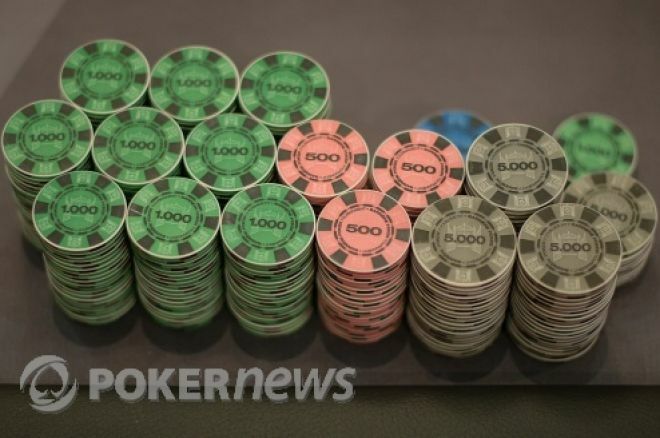 The World Series of Poker has announced that the WSOP Circuit will air several of its events on Versus beginning in June 2011. The episodes will be produced by Poker Productions, the same company that brought you High Stakes Poker, the National Heads Up Championship and the World Series of Poker Europe. The episodes will feature two hours of poker action from various WSOP Circuit stops from around the U.S., ending with the $1 million WSOP Circuit National Championship. Find out more at WSOP.com. 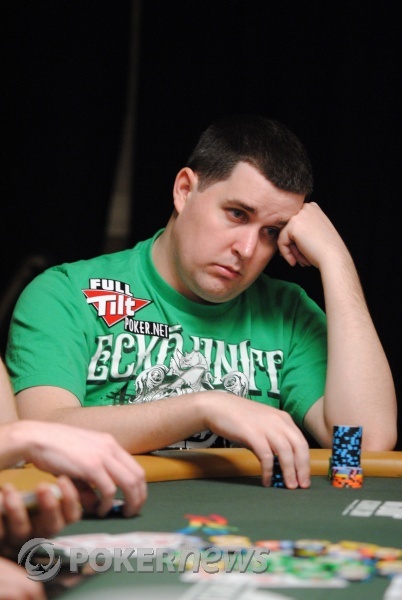 The Full Tilt Poker Red Pro roster just got one name longer. It was announced today that Felipe "Mojave" Ramos has joined the team. 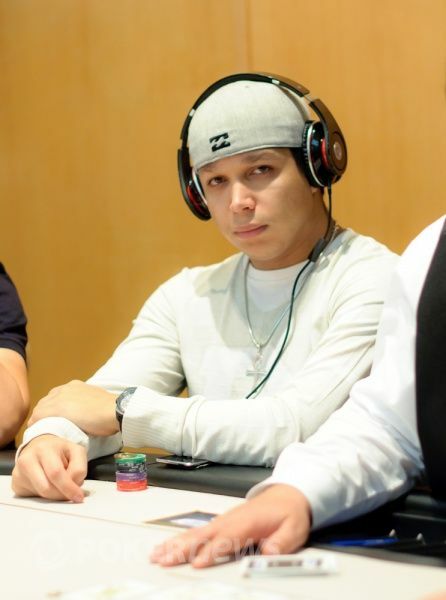 Ramos, who was previously sponsored by PartyPoker, has over $400,000 in career earnings and is in third place on the Brazilian All Time Money list, behind Thiago Nishijima and Alexandre Gomes, who is in the top spot. Ramos also has a WCOOP title under his belt with his win in the first event of the 2009 WCOOP. Take your shot at Ramos on the felt by signing up for a Full Tilt Poker account. The latest installment of ESPN's The Nuts is back. The monthly blog post ranks the best players in poker at the moment. The panel includes PokerNews' Editor-in-Chief Matthew Parvis, PokerNews' Tournament Reporting Manager Don Peters, ESPN's Andrew Feldman, Gary Wise, and Bernard Lee, Bluff Magazine's Editor-in-Chief Lance Bradley and Bluff Magazine's senior writer Jessica Welman, PokerRoad's Court Harrington, PokerNewsDaily's Dan Cypra and ESPN Deportes poker editor Nahuel Ponce. If we told you the top spot of this list changed this month, we'd be lying. Phil Ivey is once again in the top spot. Michael "The Grinder" Mizrachi and Jason Mercier flip-flopped their spots this month. John Juanda, who was in tenth place last month, edged out Tom Dwan for fourth place. Dwan just dropped one spot to fifth. "A couple million won online here, a couple million lost there, but where is the big live win? He needs one of these or he'll just keep slipping in my book," Don Peters said about Dwan. Two new players making appearances this month are Dwyte Pilgrim and Tom Marchese. 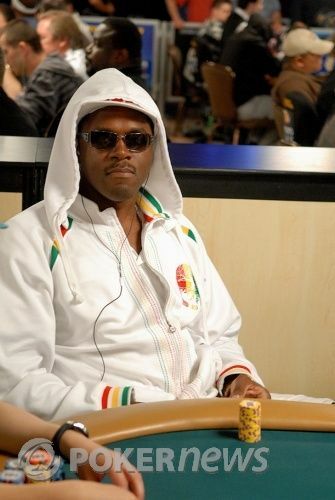 "The poster child for the WSOP Circuit seemed doomed to always be considered the best AAA player on the planet, but with a World Poker Tour win at Borgata he's announced his arrival with the big boys," Lance Bradley said regarding Pilgrim. You can find the entire list at ESPN.com. Follow us on Twitter for up-to-the-minute news and be sure to add us on Facebook.